PageMutant includes several default forms, but we assume that you will want to populate information in another CRM, marketing automation system or form tool. 1. 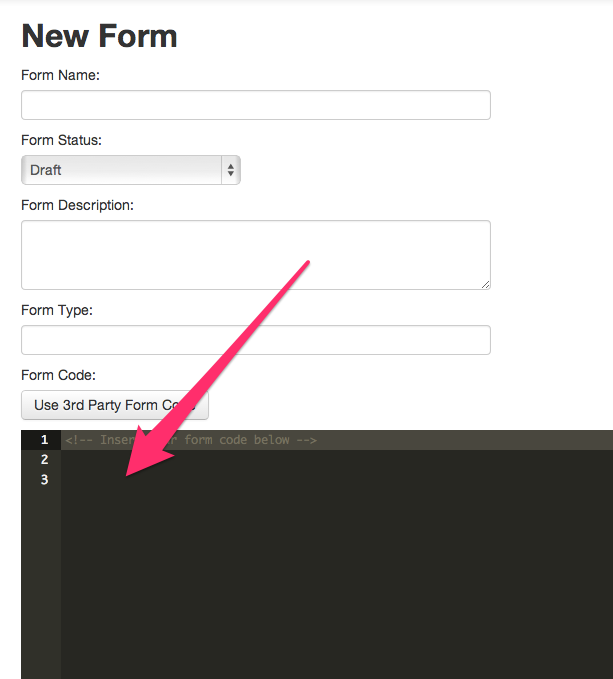 Go to your form 3rd party tool and grab the embed code or iframe for the form you want to put on your landing pages. 2. Visit Collections in the side nav and choose forms. Create a new form. Paste in your embed code in the Code field. The theme you choose will control the styling of the form in many cases. In other cases, the form style will be controlled by the system you are using. Note: When using a custom or embedded form, the confirmation is controlled by the system you are using. You will define the confirmation page in that tool.